It's that time of year when the AW 2012 campaigns start to come out... here are my top 3. 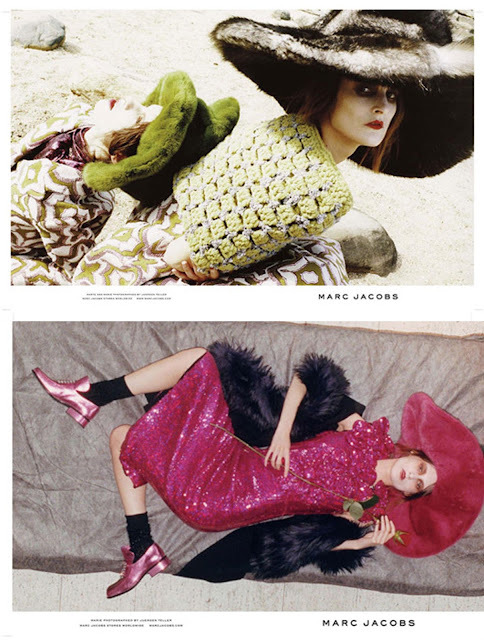 Marc Jacobs AW12 shot by Juergen Teller. These furry hats are wild. Don't they look a little bit like modern day witches wearing very fashionable outfits?? Louis Vuitton AW12 shot by Steven Meisel. It's my most favourite campaign! I love how the sepia tones and the postures of the ladies make it look old fashioned but the glitter, pailettes and leopard print make it look futuristic. 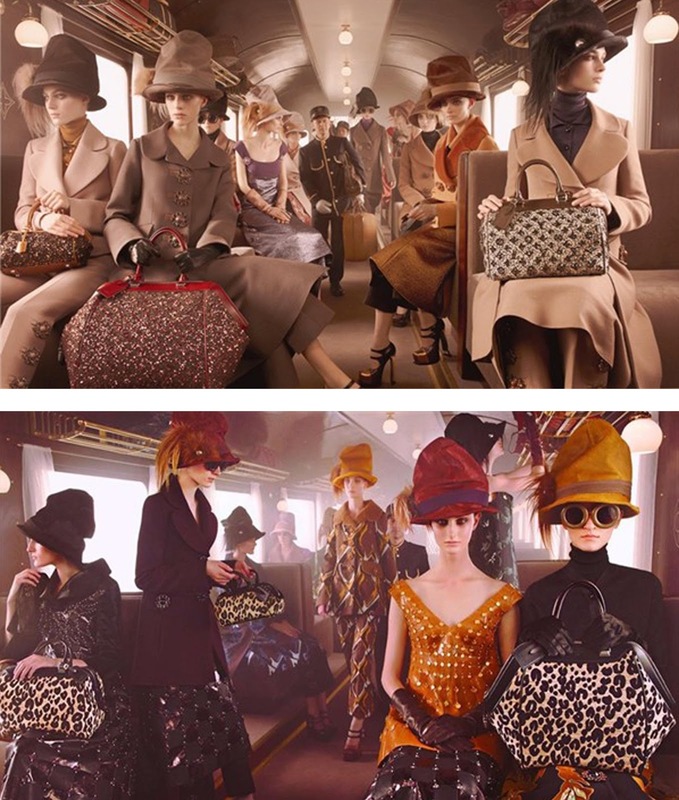 Prada AW12 shot by Steven Meisel. Dip dye seems to be a trend that will carry on through the year. Great geometric prints.